The featured resource on this page can be "purchased"
with a Tweet, Facebook post, or Google+ post. You get valuable resources, we get valuable mentions...it's a win-win. 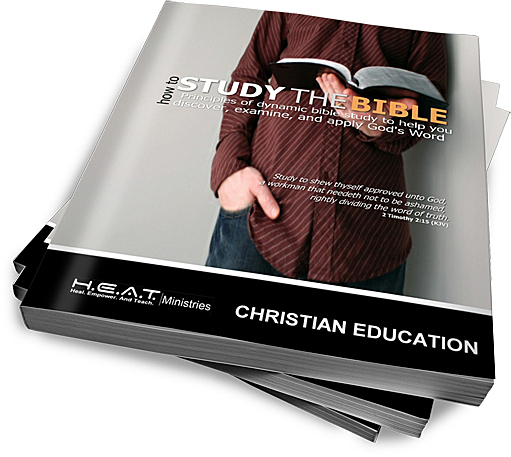 Take Your Christian life to a whole new level with inductive bible study. > Do you long for a relationship with God, but feel lost when you open your Bible, not even knowing where to begin? > Do you read passages of Scripture and find that only moments later you can't even remember what you just read? > Are you ready to have deeper insight of the Scripture with your Bible study time? If you answered "YES" to any of the questions, then this manual is for you. And it is absolutely free! In fact the only way to pay is with your SOCIAL CURRENCY. For the price of a Tweet, Facebook post, or Google+ post, this pdf resource is yours. Don't wait, because we don't know how long our pastor is going to allow this. Now, if you would also like to order a physical copy of the book, you may do so here.